The United Nations' Food and Agriculture Orgarnisation (FAO) has entered into a $20 million, about N3.15 billion worth of agreement with Brazil in a bid to help developing countries in the production of cotton. “This agreement represents an excellent opportunity to demonstrate the effectiveness of South-South cooperation between developing-world partners as a vehicle for sustainable economic growth,” said FAO Director-General José Graziano da Silva while signing the agreement recently at FAO’s Rome headquarters. FAO revealed to NaijaAgroNet in a press statement that the agreement would enable developing nations boost cotton production through Brazilians’ expertise in the production of cotton. The agreement which is a four-year project was signed by the UN special agency, FAO, the Brazilian Cotton Institute and external cooperation wing of Brazil’s Foreign Relations Ministry, to see to the technical assistance and training in best practices in cotton cultivation and its marketing. NaijaAgroNet gathered that the first phase of the project would be in Haiti and the MERCOSUR zone of South America, and will later be extended to some other developing countries in Latin America as well as Africa. Commenting on the agreement, FAO Director General, José Graziano da Silva affirmed that the agreement is an opportunity for the demonstration of effectiveness of the South-South cooperation among developing-world partners. According to the FAO chair, the agreement is a vehicle for sustainable economic growth. While the Brazilian Cotton Institute will provide $10 million, about N1.57 billion financial support for the project with an additional $10 million from the external cooperation wing of Brazil’s Foreign Relations Ministry, FAO's Regional Office for Latin America and the Caribbean will contribute $200 000, about N31.5 million worth of nonfinancial support. 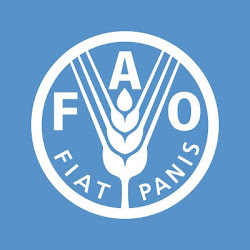 The FAO's nonfinancial contribution, NaijaAgroNet learnt entails provision of expertise and technical information and mobilising the agency's international networks for support.